Visiting France has always been high on our travel planning lists. We enjoy the French way of life. The lifestyle of working to live, rather than living to work. Enjoying a glass of wine at lunch, savoring every meal and enjoying each day for all it’s worth feel just right to us. 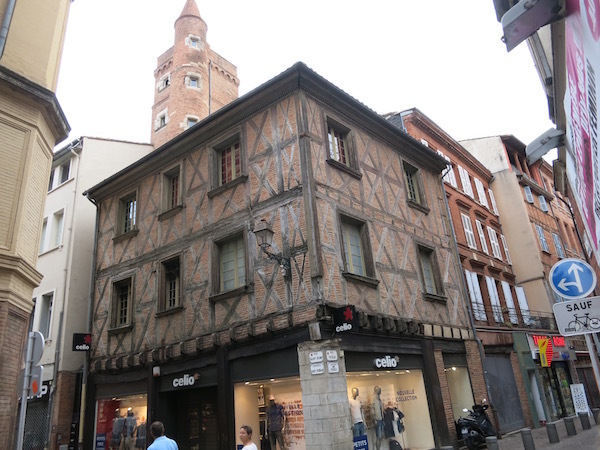 When we had the opportunity to visit Toulouse we were excited to go to a new city in France. No matter how much we prepare, research and plan we always end up like wide-eyed children when we first arrive at a new destination. Toulouse was no exception. 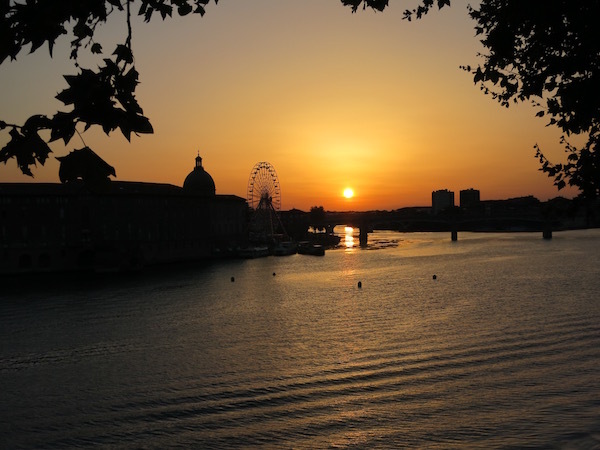 Our short drive from the airport to town transported us to a lovely city along the River Garonne. We knew we had arrived somewhere special. 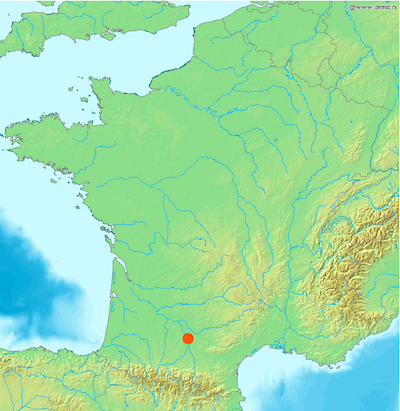 Toulouse is located in south western France. Get a quick glimpse of what Toulouse has to offer by watching this short video from the Toulouse office of Tourism below. Toulouse, with a population of 950,000, is the fourth largest city in France. The city has its own unique pink terra cotta bricks that explain it’s description as “the Pink City” or la Ville Rose. 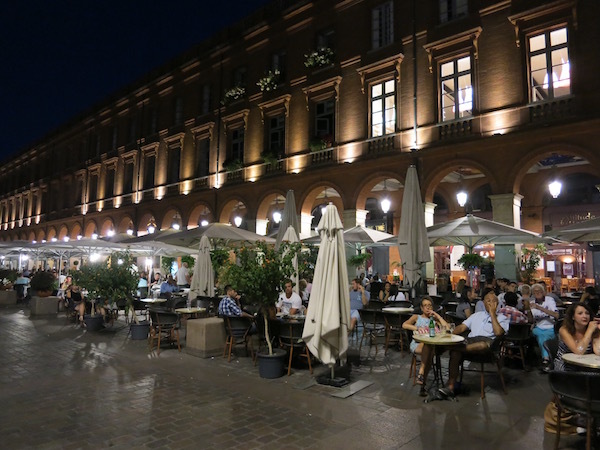 The square that houses The Capitole is surrounded by interesting buildings and cafes to sip a cup of coffee or glass of wine. In a unique twist, you’ll find that the town hall also operates as an opera house. 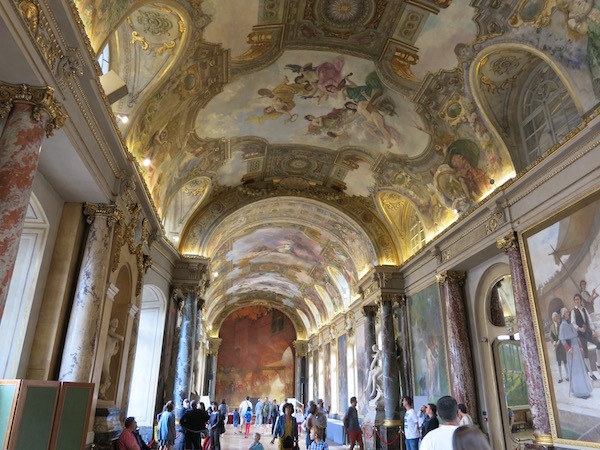 Sale des Illustres in The Capitole hosts official receptions and wedding celebrations. An impressive selection of large tableaux cover many walls throughout the city hall. Each depicts the historical events of the city’s history. The Capitole Square bustles day & night. Famous pink stones are not the only fascinating aspect of architecture in this beautiful place. Roman and medieval history come to life as you walk the city streets. 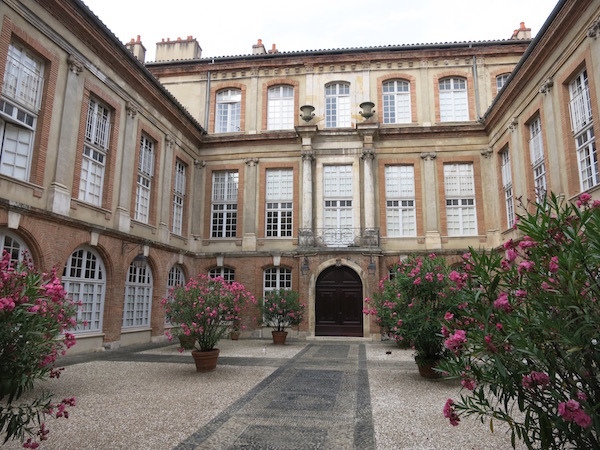 Beautiful courtyards are abundant in Toulouse. Toulouse is a walker’s delight. Although there is an excellent public transportation system, we enjoyed great fun walking up and down the streets finding treasures along the way. 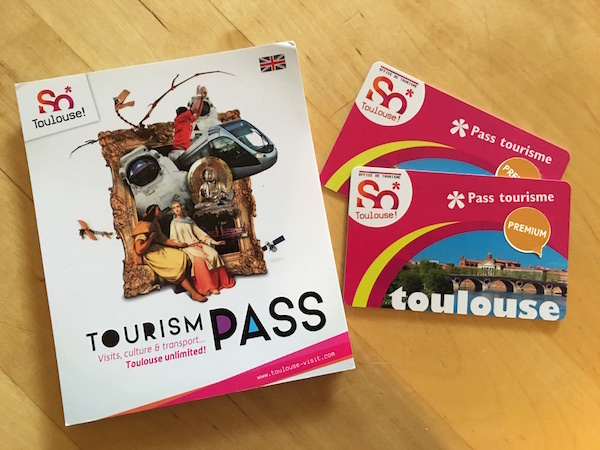 The city offers a Tourism Pass that starts at 15 euros and includes free entry to the museums in the city center, a guided tour from the Toulouse Tourist office and free travel on the local transportation – metro, tram, bus and airport shuttle bus. It also offers discounts at many other tourist sites and shops. You can purchase a 24, 48 or 72 hour card. Check here for all the details Toulouse-Visit.com. Take Rue du Taur from the Capitole to Couvent des Jacobins. We’d recommend traveling up the Rue du Taur when you leave the Capitole Square. It’s an easy walk up this shopping street to Couvent des Jacobins. Founded by the Dominican order, this peaceful monastery and gardens encourage contemplation and serenity. Perhaps most importantly, it is the final resting place of Saint Thomas Aquinas and you will find his relics housed here. Cloister at the Couvent des Jacobin in Toulouse. 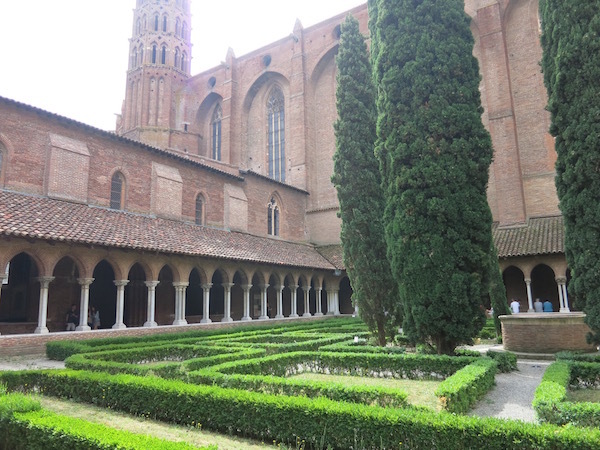 Toulouse is also home to the UNESCO World Heritage site Basilica Saint-Sernin. It is the largest remaining Romanesque building in Europe. It is also along the route of the Santiago de Compostela pilgrimage route. The Way of St. James (in English) was one of the most important Christian pilgrimages during the Middle Ages. 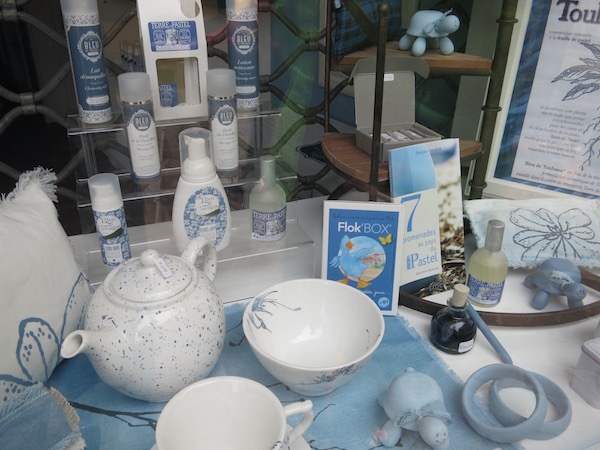 You’ll discover many pastel products in Toulouse made from Isatis Tinctoria, the unique locally grown plant that provides a beautiful blue pigment. Mills in the area exported the pastel products all over Europe. The industry suffered when competition of “Chinese Pastel” from India grew. The business is being revived as more beauty and healthcare properties of pastel have become popular. We love the lavender scent and brought lots of pastel gifts home for friends and family. You might be surprised to learn that Toulouse is the #1 city in Europe for the aeronautics and space industry. The Airbus headquarters are located in Toulouse. Intel and CNES’s Toulouse Space Centre, the largest space centre in Europe, are also among the top companies in town. The highly respected University of Toulouse is the fourth largest university in France and among the oldest in Europe. 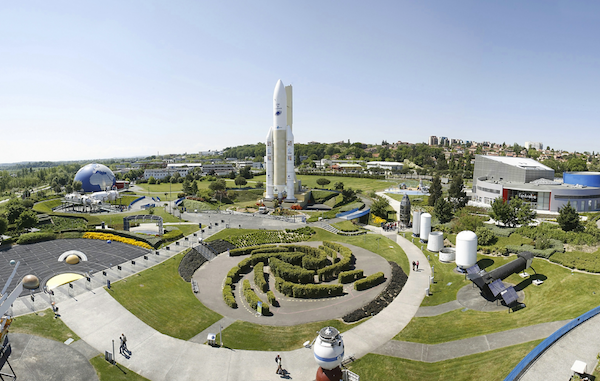 Tourist attractions La Cite de l’espace, Aeroscopia and Let’s Visit Airbus are interesting adventures for travelers who want to learn more about flying and for anyone curious about space. Do you like fresh, local food prepared by passionate chefs and vendors? Then Toulouse is definitely for you. Here’s just a sampling of the many delicious food and amazing restaurants you will find. Foie gras de canard with apricot chutney at Brasserie des Beaux Arts. 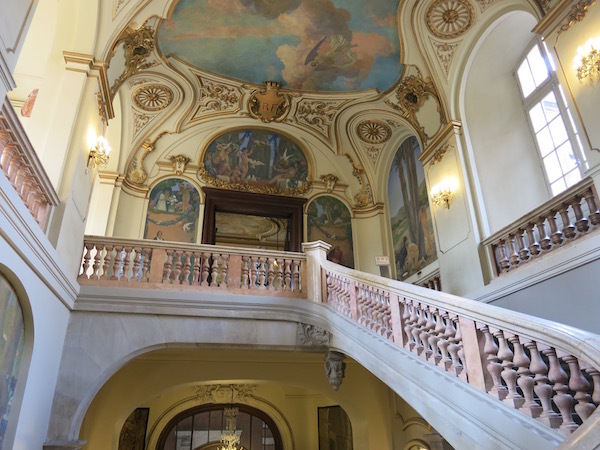 Located along the River Garonne, the Brasserie de Beaux Arts was originally the meeting place of students from the School of Fine Arts. Artists like Ingres and Matisse frequented the establishment and enjoyed the flavors of the area. Goat Cheese and rosemary creme brûlée and crunchy vegetables at Brasserie des Beaux-Arts. We started with the classic foie gras and sampled the Toulouse sausage which we were told is a special recipe for the region. It included lean and fatty chunks of pork – incredibly delicious! 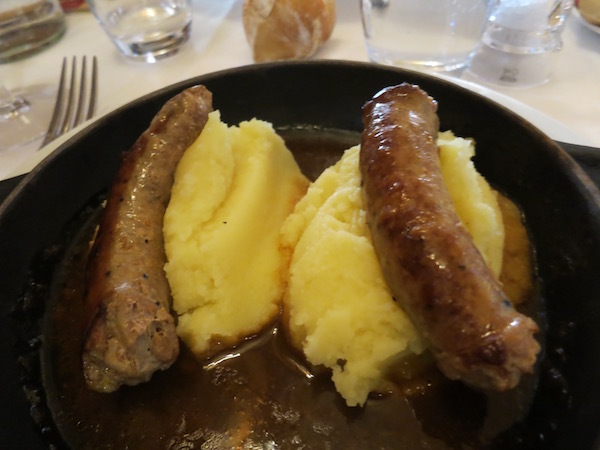 Toulouse Sausage with homemade mashed potatoes a Brasserie des Beaux-Arts. Vintage Valrhona Illanka Chocolate dessert at Brasserie des Beaux-Arts. 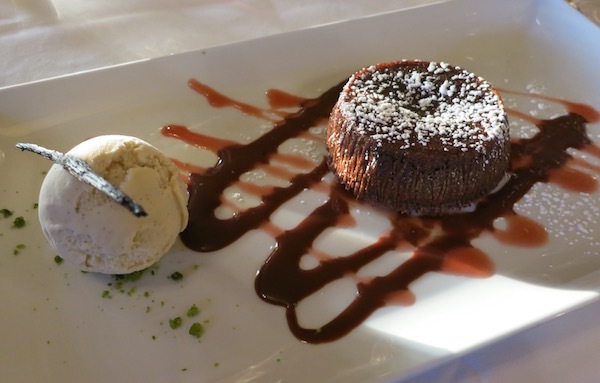 Dinner is not complete without a perfect dessert and we were served a perfectly chocolatey rich dessert. It was rich, gooey and undeniably tasty. Vendor at Victor Hugo Market in Toulouse. 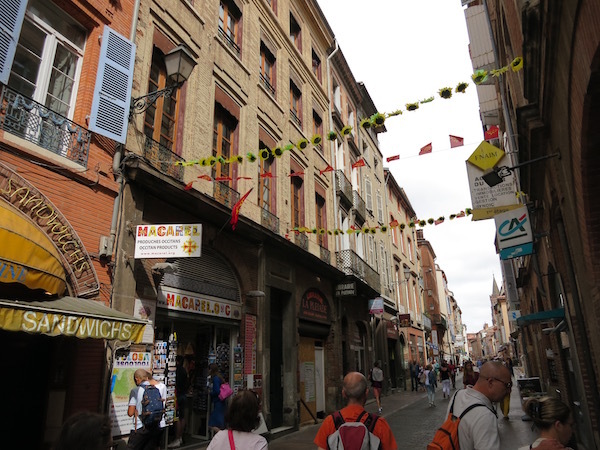 The best way to be able to sample many of local foods is to walk the streets of Toulouse. There are markets and shops on every street. 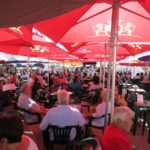 One of the best and largest markets in town is the Victor Hugo Market. Cheese vendor Betty at Victor Hugo Market. The market has everything you’d expect and more. Vendors with fresh produce, flowers, cheese, meats and fish abound. You’ll want to leave plenty of time to explore and sample your way through the tastes of the market. 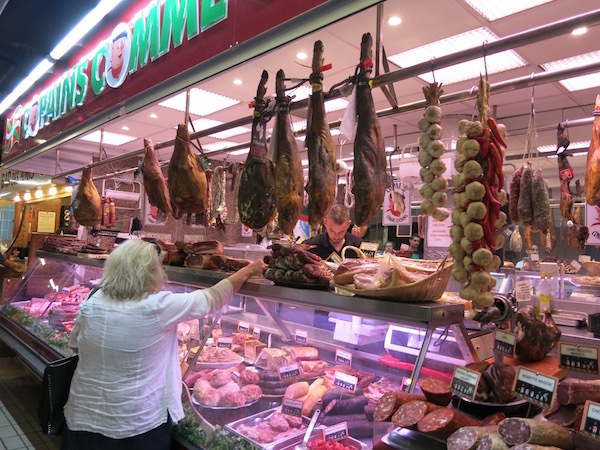 One of the things I love so much about visiting the markets is watching the locals shop, carefully evaluating options, choosing just right the items, making their purchases and then heading off on their way knowing they’ve selected the perfect foods for their family’s breakfast, lunch or dinner. 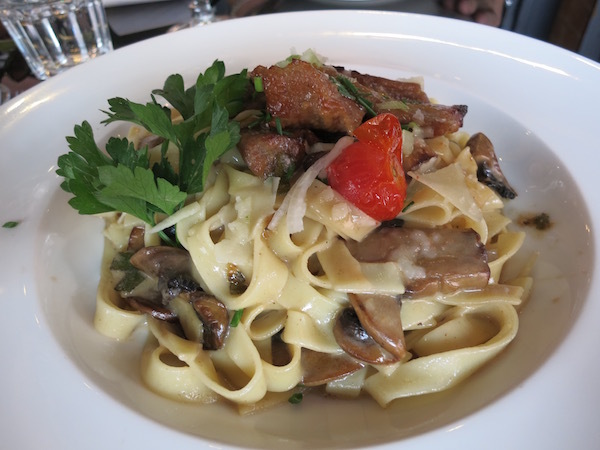 Delicious veal in mushroom sauce at Villa Tropezienne. Just across the street from the Victor Hugo Market is the restaurant Villa Tropezienne. It’s a typically delightful French bistro with indoor or outdoor seating. 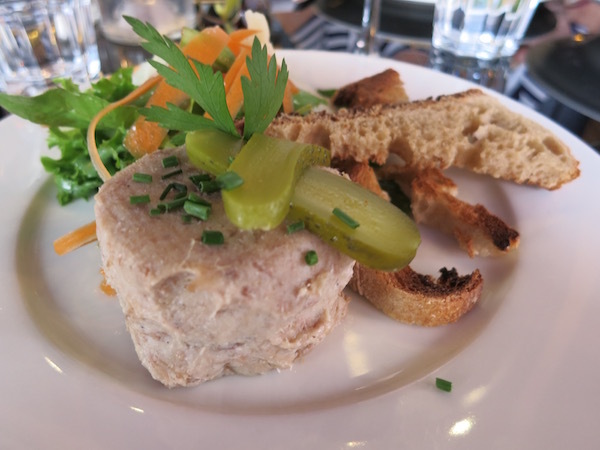 They offer typical bistro menu items like beef tartare, foie gras, salads and much more. Foie gras at Villa Tropezienne. 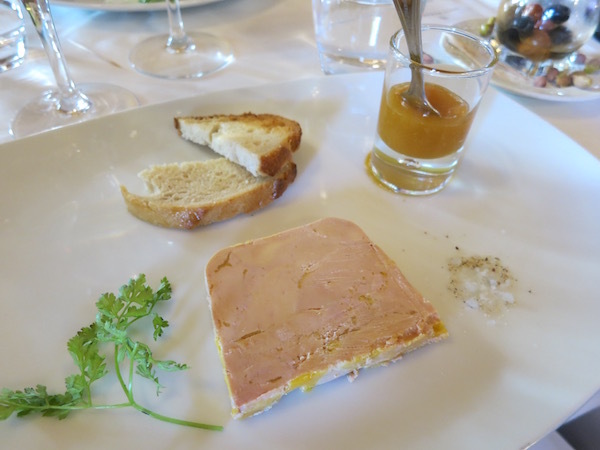 I have to admit that on this trip we sampled many different types of foie gras and pâté. We know they’re not for everyone but if you like these meaty treats, you will love the many delicious ways Toulouse serves them up. Shaved foie gras at Le L Restaurant. One of the most interesting selections was a shaved foie gras that we tasted at the Le L Restaurant. 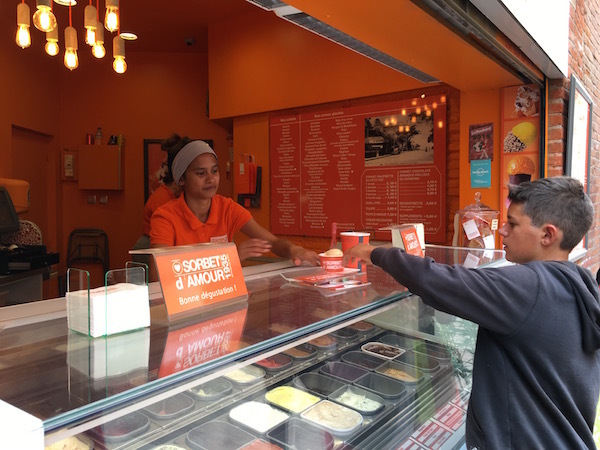 As you’re exploring the streets of Toulouse be sure to stop and try the treats. 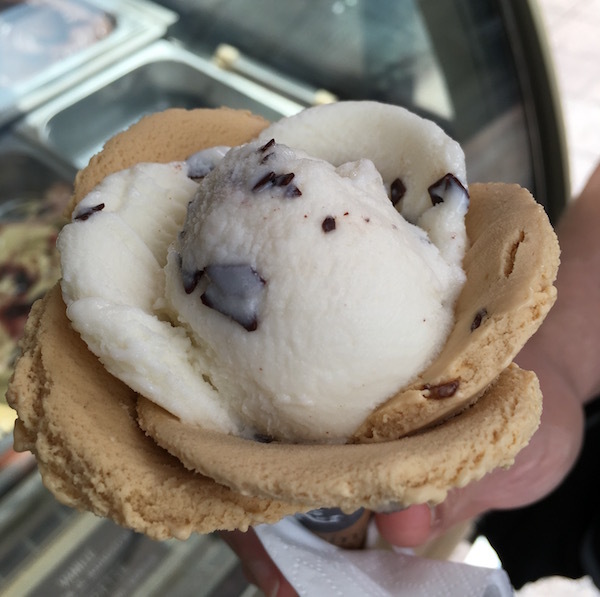 Whether your passion is gelato, chocolates, wine, beer or some other tasty bite or beverage, you’ll no doubt find it in Toulouse. The city has more than 1,700 places to eat so choosing which ones to check out may prove to be the most difficult part of your visit. There are many outdoor cafés and bistros but we particularly enjoyed evening riverside revelers. On a Monday night we witnessed young people relaxing along the river. Some shared a bottle of wine and takeout food. The cutest thing was watching riverside dancing by people of every generation that we heard happens just about every day. As we wandered around the streets of Toulouse we found kebab stands and ethnic spots, gelaterias, pizza parlors, and hamburger places all open late. Evening dancing by the river. Because Toulouse is a university town that means lots of students. 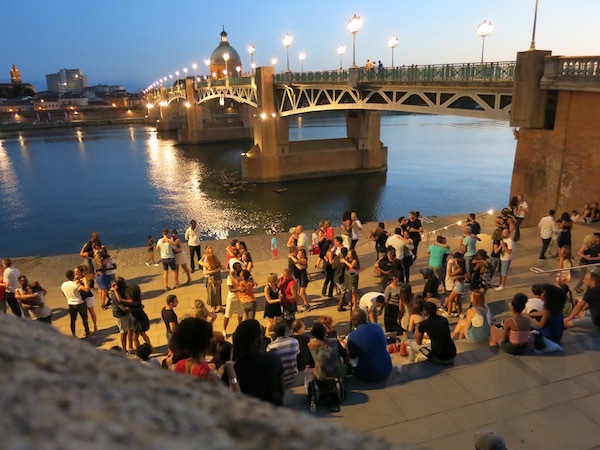 Lots of students means a diverse community exists in Toulouse. Walking around the town you’ll find just about every type of ethnic dining option. It’s a modern metropolis with everything from kimchi to kebab, tapas to tikka masala and much, much more, you’ll be able to quench your craving for cheap and cheerful ethnic eats in Toulouse. 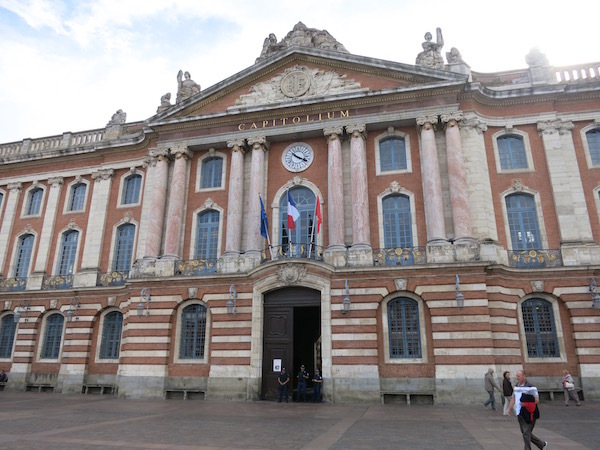 A friendly and open city, Toulouse makes everyone feel welcome. There’s a vibrant LGBT community and active gay-friendly scene. If you’re interested, you can pick up the L’annuaire Solidaire guide to welcoming establishments while you’re there for all the details. 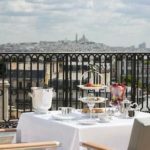 We stayed at the deservedly five-star La Cour des Consuls Hotel and Spa which is part of the M Gallery by Sofitel. The luxurious hotel is centrally located, an easy to walk the to city center and to the riverfront. 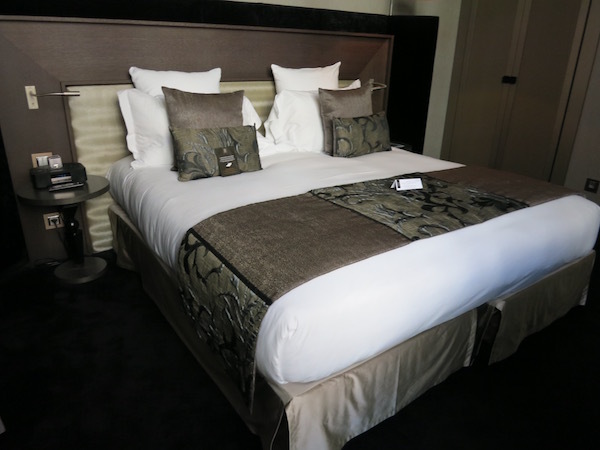 The rooms are spacious, comfortable and beautifully appointed. Our stay included lovely continental breakfasts. 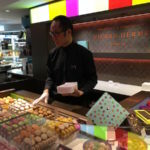 You can have fresh French pastries, eggs prepared to your liking, meats, cheeses, fruits, and more. Frankly, there was a range of options available, far more than we could eat. The breakfast room was quiet, which we really appreciated. Outdoor dining at La Cour des Consuls in Toulouse. La Cour des Consuls’ gorgeous outdoor restaurant Le Cenacle lets you dine al fresco in the private courtyard. 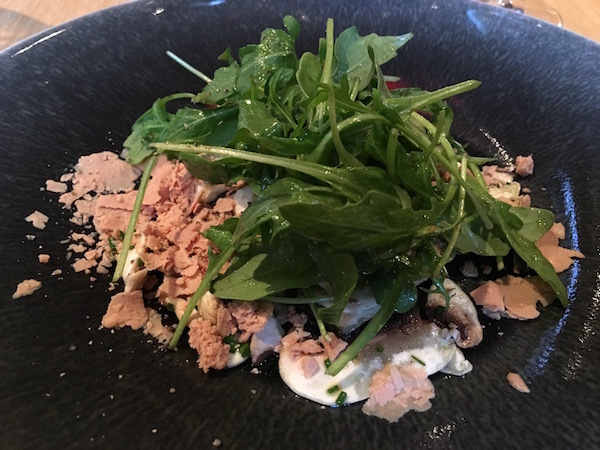 Michelin star chef Jerome Ryon has created the refined yet modern menu. It’s a lovely intimate dining experience. The hotel also has a beautiful spa that uses local and luxurious Graine de Pastel products, which are also available in your room. 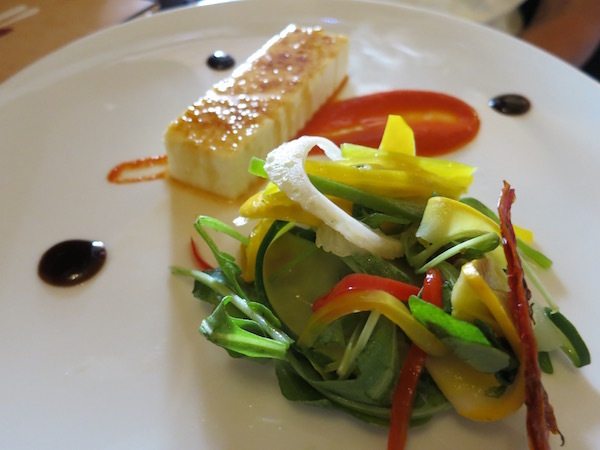 As we experienced it, Toulouse is a wonderful destination for Food Travelists. You can get there easily with a quick hour flight from Paris via Air France. Once in Toulouse you can also visit other major UNESCO sites such as the City of Carcassone, The Espiscopal City of Albi and the Port de la Lune in Bourdeaux. Toulouse is another historic, beautiful, welcoming and delicious area of France that you should add to your travel plans. When you explore its many wonderful offerings and experiences, you will truly enjoy this unique and unforgettable city. Thank you to Atout France for hosting us during our trip to the Midi-Pyrénées. We were not financially compensated. All opinions are our own and reflect our experiences. Learn more about planning a visit to Toulouse at toulouse-visit.com. 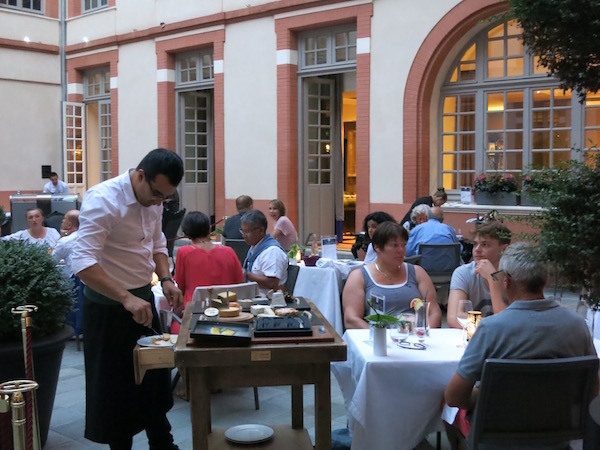 THE QUICK BITE: Toulouse is a destination full of culinary delights, stunning architecture and modern technology. 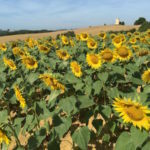 Discover Toulouse the delicious gateway to the Midi Pyrenees. Hello, there, i am really glad I have found your helpful and informative blog! I was looking info about southwestern France and you describe it so nicely. Great work dear and keep it up. I am very curious about the blue color made from the local plant! I learned about indigo recently and I couldn’t believe how much I take color pigment for granted-especially when it comes to dyeing clothes. Your dessert pictures also look phenomenal! Sounds like a very interesting place to visit. 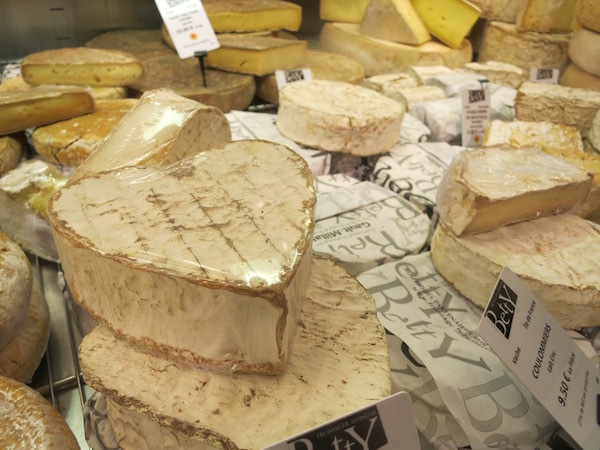 Love the heart-shaped cheese (and of course all the other French food). I have been to Toulouse, but a long time ago. I think I need to go back! I think I missed a lot. We drove through Toulouse, but we didn’t stop. Now I’m so upset we didn’t! Everything looks fabulous from the architecture to the food, I’m actually really hungry after reading this post. I guess it just gives me another reason to go back. Thank you for sharing this! Sue, I was enjoying this post and every single photo. 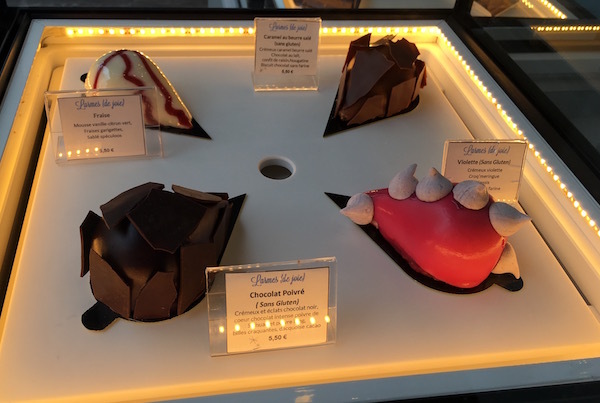 And then … I came to the one from Sandyan Patisserie chocolate and stopped dead in my tracks! What works of art! I’ve love to visit Toulouse and wander thru its fresh markets and dance by the river. Looks like you had an amazing time. Wow, you ate well in Toulouse. It was one of my favorite cities. We added several days when we visited. Your photos and words brought back many memories. 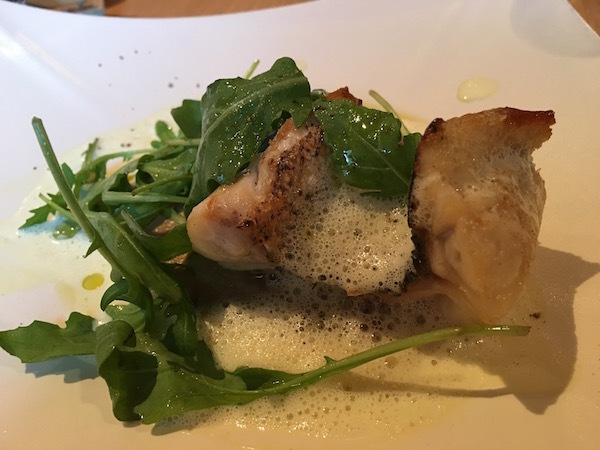 I’ve never been to Toulouse but it seems to offer so much beauty—and good food! I’m glad to hear they are reviving Isatis Tinctoria…it’s such a beautiful pale blue pigment. That’s some tasty looking food in Toulouse! Although we’ve been to Toulouse several times, you’ve given us more places and tastes to explore – makes me eager to return! Merci! Bringing cultures and people together through food and drink.